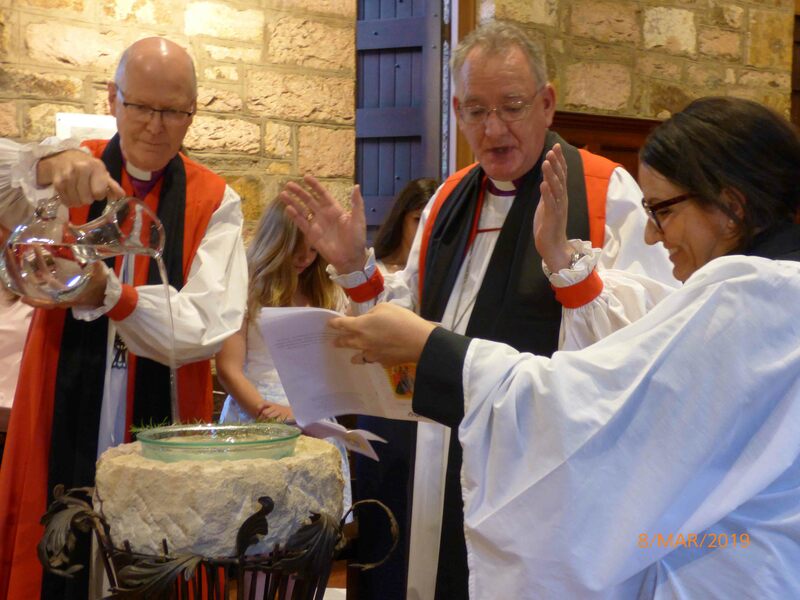 Please submit your best image for consideration in our monthly albums to focus@anglicanchurchsq.org.au, along with a one sentence image caption stating who is in the image, when and where the image was taken, and what is happening in the image. Please ensure you have ‘permission to publish’ from those pictured in the images. 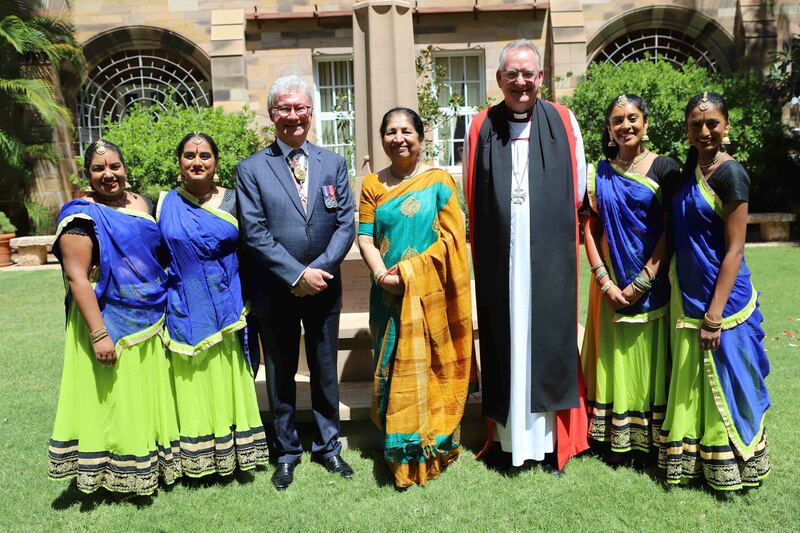 Archbishop Phillip Aspinall, the Governor of Queensland, His Excellency The Hon Paul de Jersey AC QC and dancers from the Nadananjali School of Dance (Bollywood dance tradition) at Commonwealth Day on 12 March 2019 at St John's Cathedral. 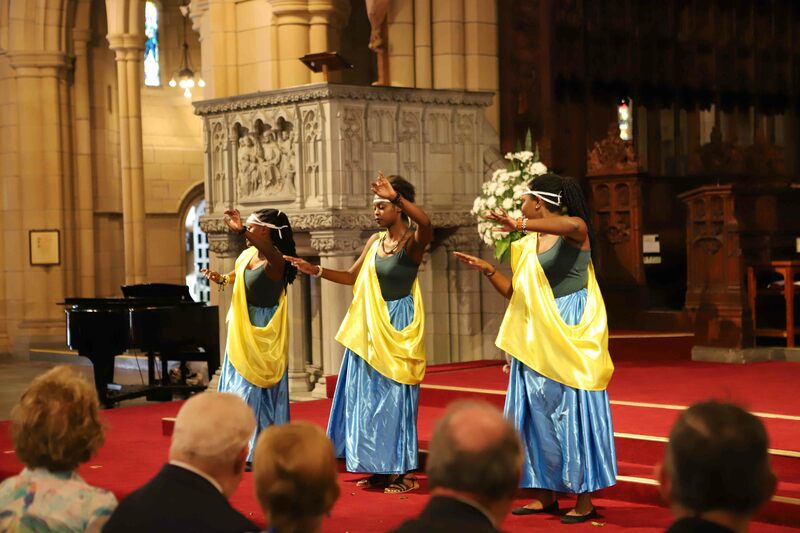 Dancers from the Rwandan Abahizi Group at St John's Cathedral on Commonwealth Day on 12 March 2019. 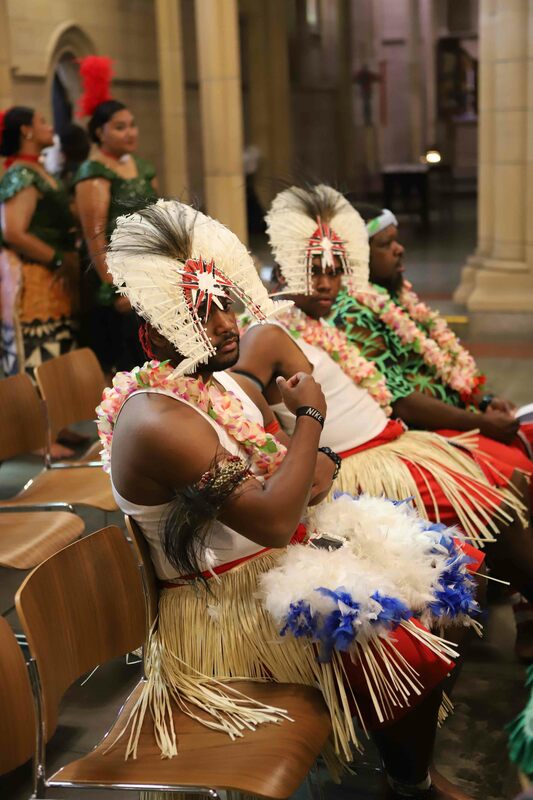 Members of the Mamana Academy of Tongan Arts and Culture at St John's Cathedral on Commonwealth Day on 12 March 2019. 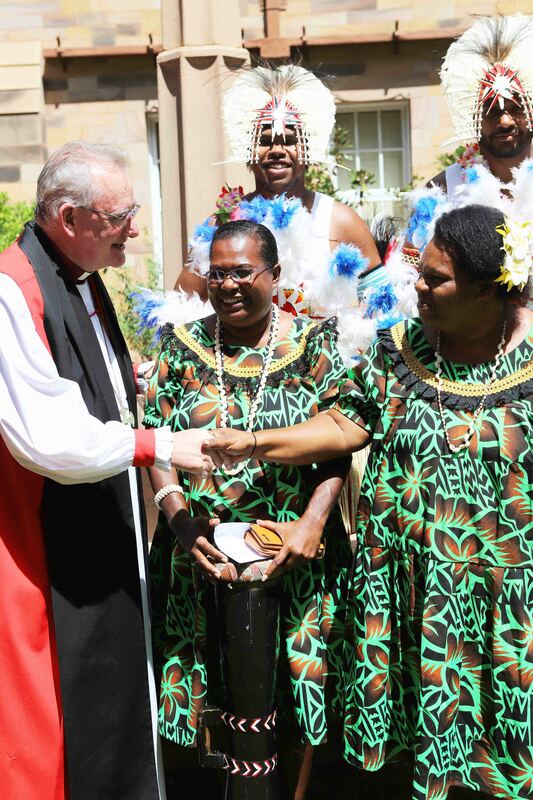 Archbishop Phillip Aspinall meeting members of the the Malu Kiai Mura Buway Dancing Corporation, originally from Boigu Island Torres Strait, on Commonwealth Day on 12 March 2019. 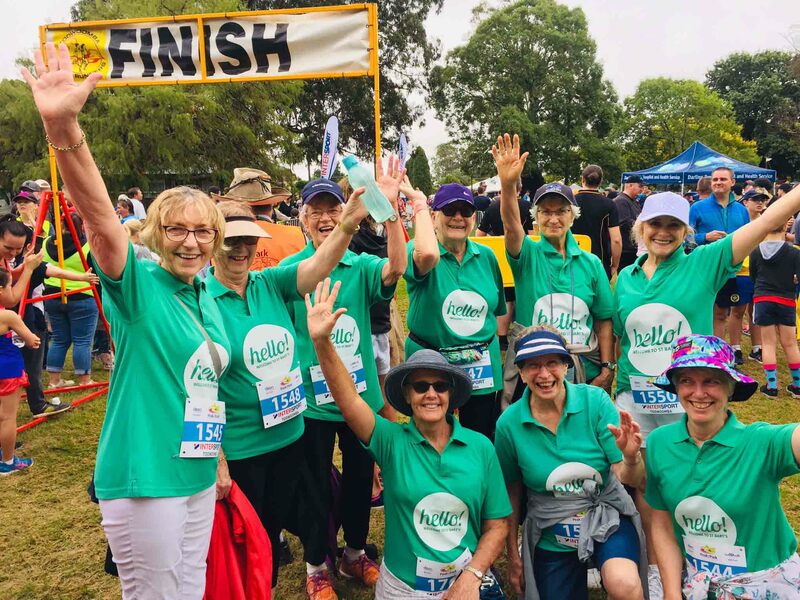 Great work to the St Bart's, Toowoomba social walking group who donned the St Bart's welcome shirts and completed 'peak to park'on 3 March! If you're interested in joining the social walking group, they meet each Tuesday at 7.30am at St Bart's, with coffee and a chat afterwards. 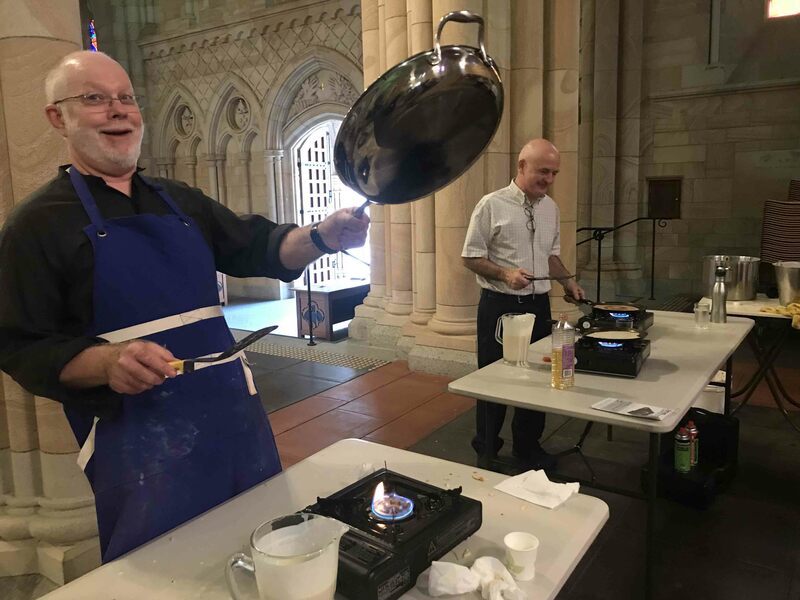 The Very Rev'd Dr Peter Catt and Gerard Finn cooking hundreds of pancakes for Cathedral Precinct staff and clergy on Shrove Tuesday. Bishop Jeremy Greaves and WHS Advisor Michael Kucera enjoying Shrove Tuesday pancakes at St John's Cathedral. 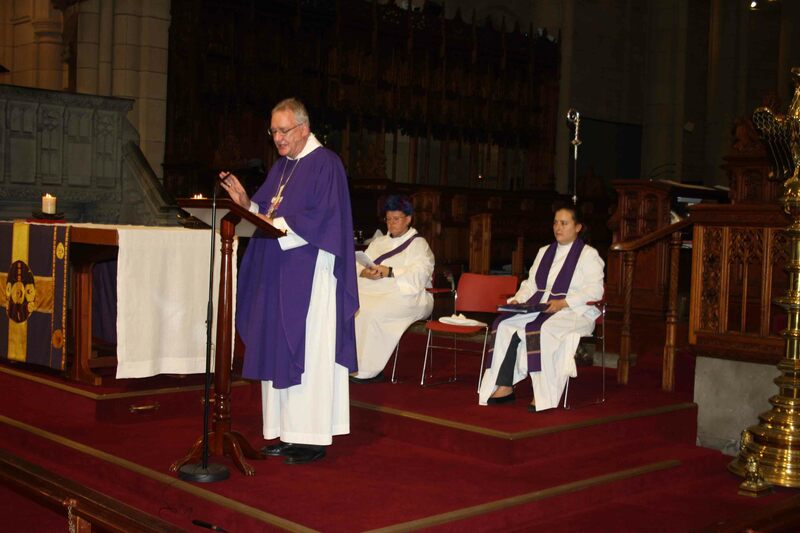 Archbishop Phillip Aspinall preaching at the Ash Wednesday Service at St John's Cathedral. 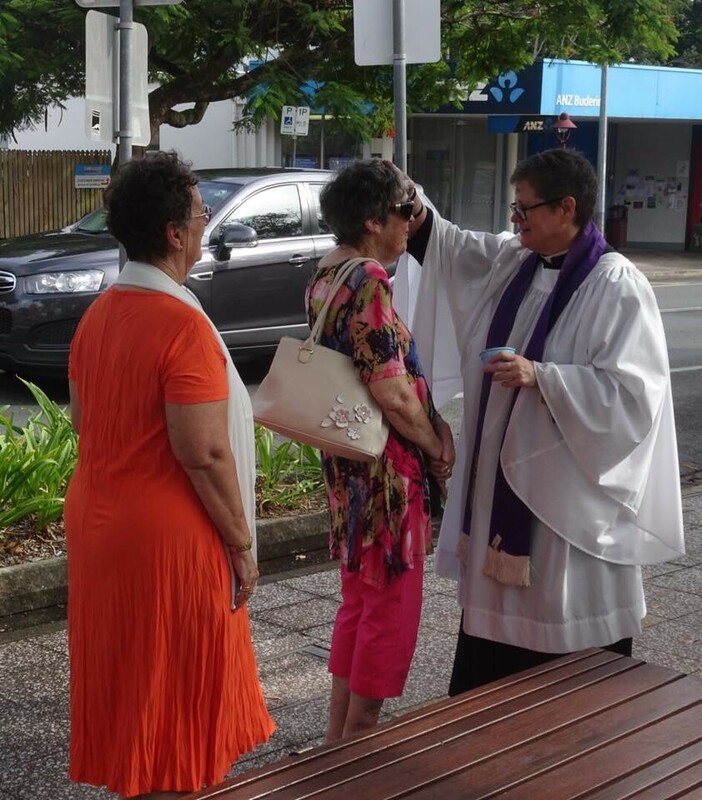 Parishioners Gaye Parkes and Jenny Duckworth receiving 'Ashes to Go' on Burnett St, Buderim on Ash Wednesday from The Rev'd Mother Moira Evers. 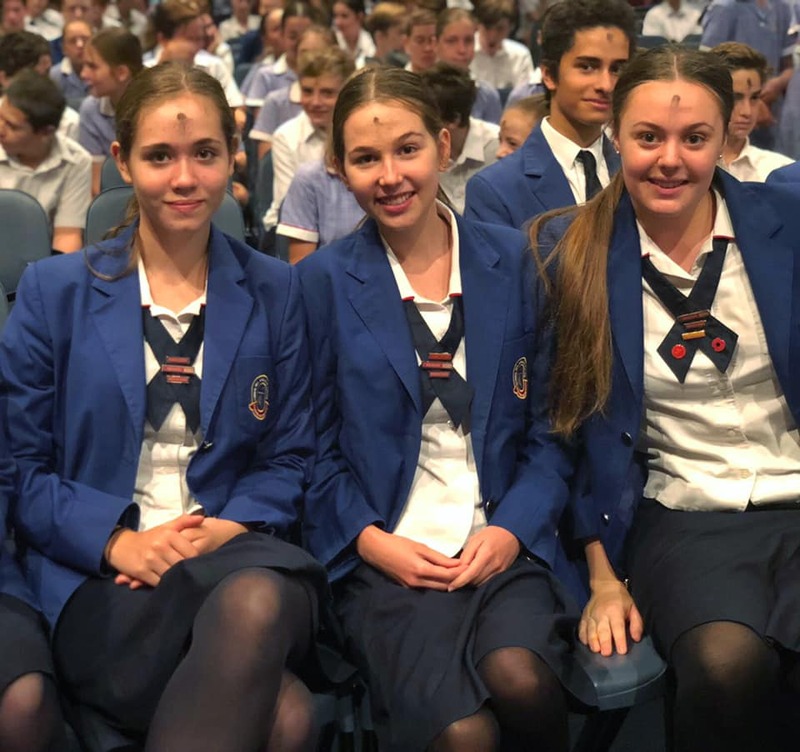 Cannon Hill Anglican College held Ash Wednesday Services for primary and secondary students to mark the start of Lent, with the theme ‘God makes beautiful things out of dust’. 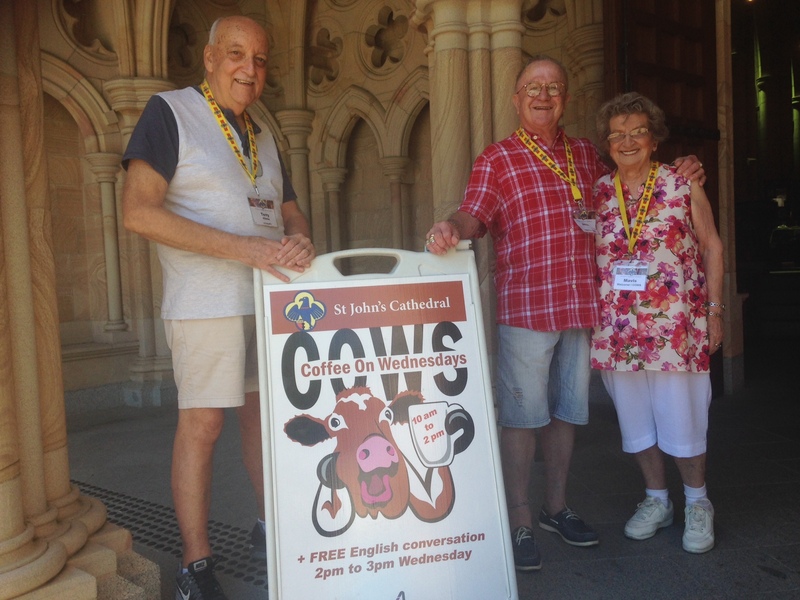 (L-R) Terry Albone, Julian Underwood and Mavis Ralph, 'Coffee on Wednesdays' (COWs) coordinators, at St John's Cathedral. COWs is open between 10am and 2pm on Wednesdays so community members and international visitors can take time out and have a chat over a cuppa with the merry band of dedicated 'welcomer' volunteers, who take their baking and ministry of TLC seriously, but not much else. If you haven't dropped by and chatted to the COWs crew, do so as you will walk away with a spring in your step and a tummy full of homemade treats. 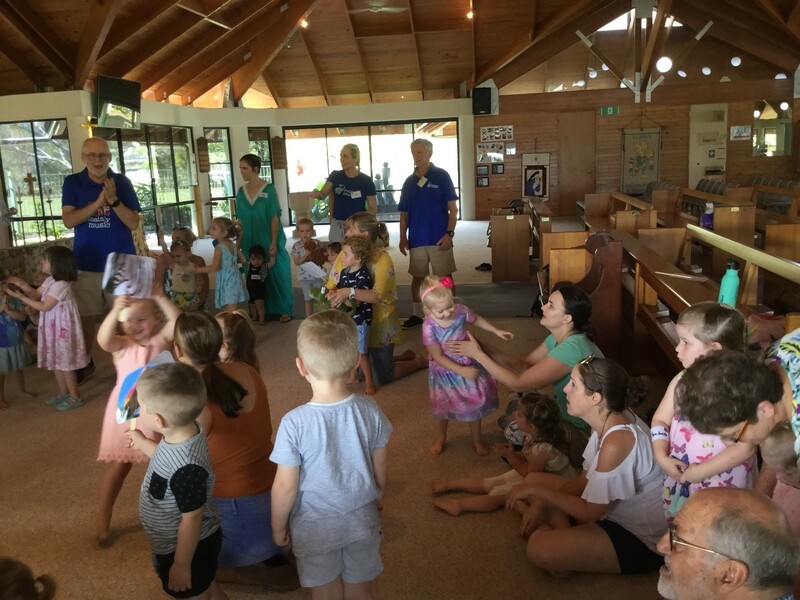 Fr Jeff Jarvis, Alan Moore and Sera Ball with children and families having an absolute ball at Mainly Music, St John's, Hervey Bay. 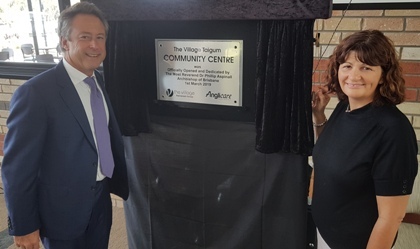 The Village Retirement Group Managing Director, Justin Harrison and Anglicare Southern Queensland Executive Director, Karen Crouch at the opening ceremony of The Village Taigum Community Centre on 5 March. 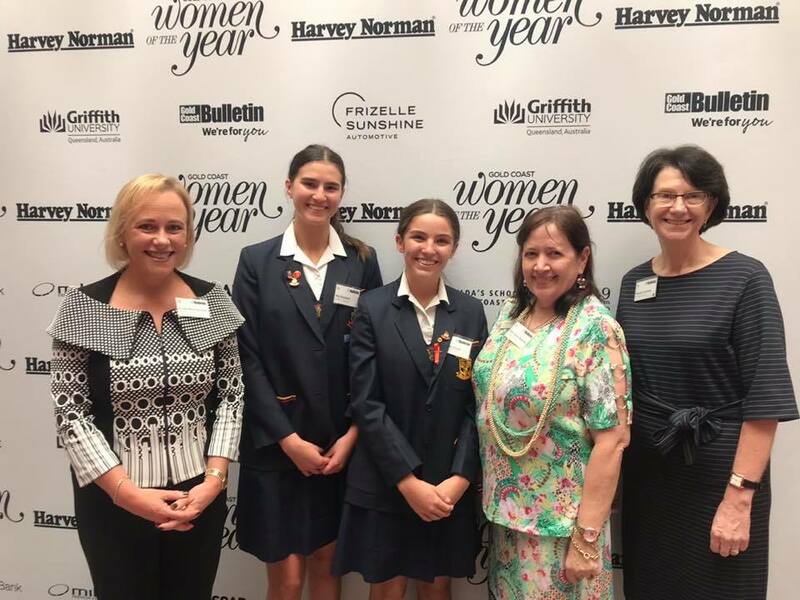 On International Women's Day on 8 March St Hilda's Student Ambassadors, Charlie Stuart and Mia Barakat, had the special opportunity to attend the Gold Coast Women of the Year Awards with the Chair of School Council Prof Susan Brandis, Principal Dr Julie Wilson Reynolds and Deputy Principal Ms Wendy Lauman. The girls met and heard from the inspiring women making an impact in the Gold Coast community. 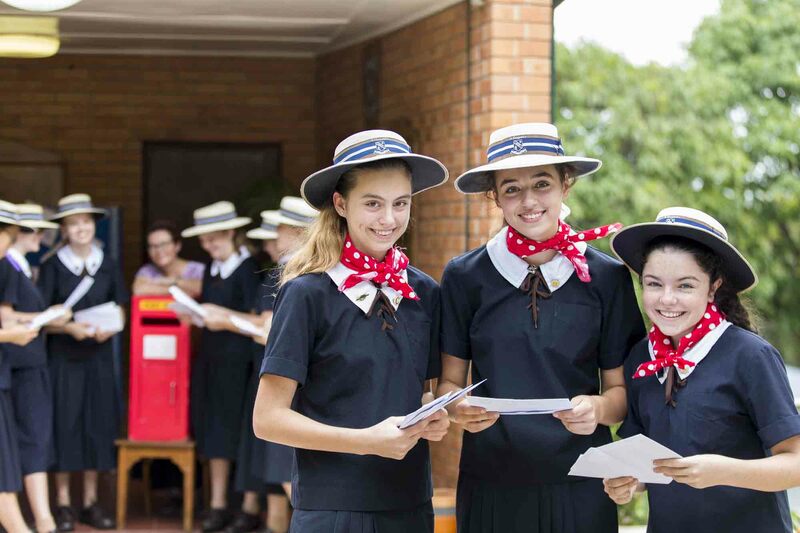 At St Hilda’s, it is hoped that every girl will experience an educational journey that allows her to serve, shape and change the world in her own way. 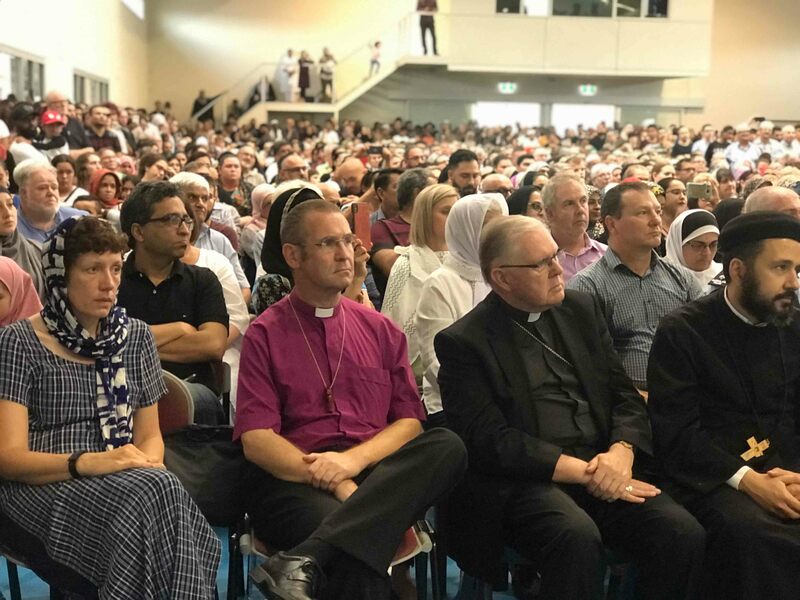 (L-R) Bishop Jonathan Holland, Archbishop Phillip Aspinall and The Rev'd Jazz Dow at the Community of the Way commissioning service and launch on 8 March at St Francis College. Community of The Way members making their statement of commitment at St Francis College on 8 March. 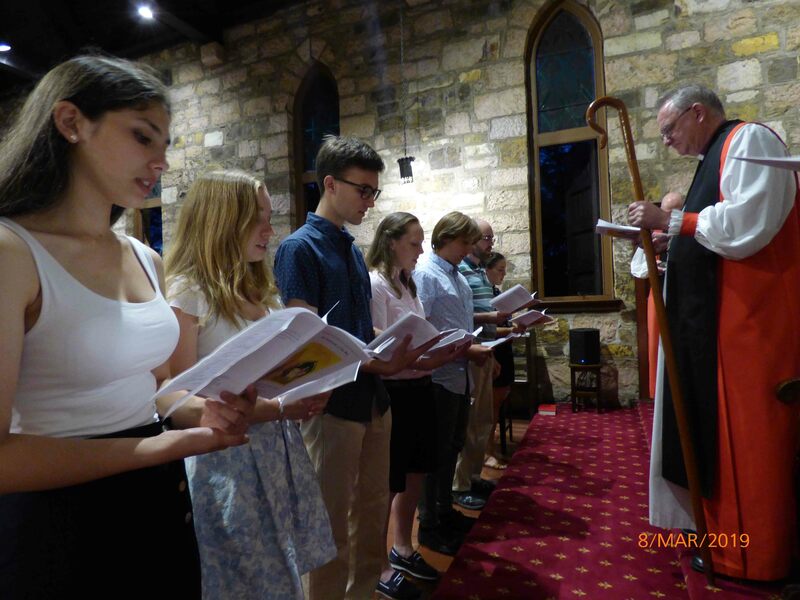 Congratulations to the members of this exciting new community: Amy, Caitlin, Gab, Naomi, Sam, Stephen and Nenny – you will be in the thoughts and prayers of the whole Diocese this year and we look forward to hearing about your initiatives and experiences. 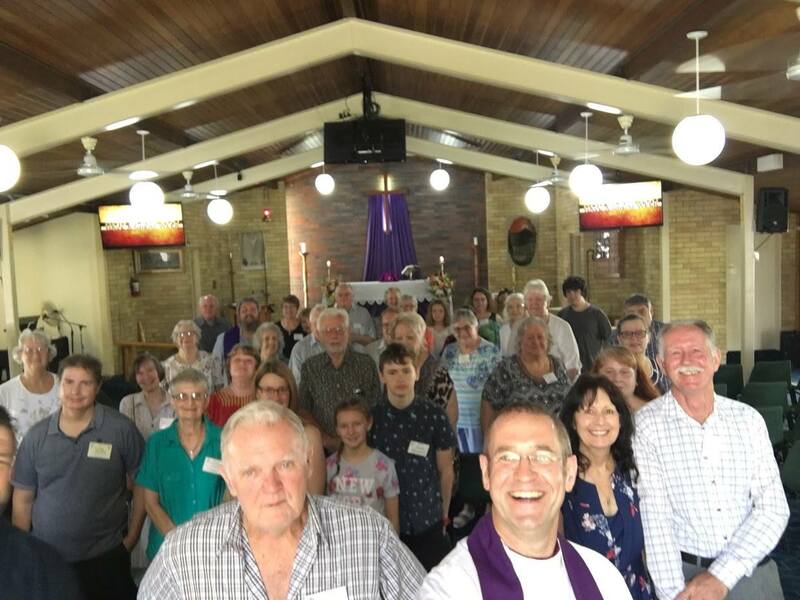 'Sunday Selfies' with Bishop John and the parishioners at St George's, Beenleigh on 10 March. Clergy and staff from across the Diocese participated in first aid training in the Cathedral Precinct's Darnell Room on 8 March. 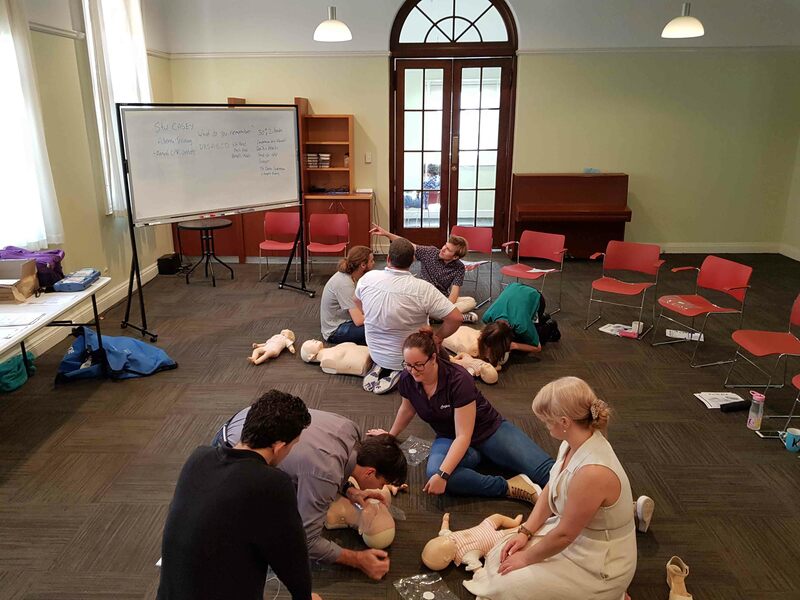 Thank you to the voluntary first aiders who attended training on this day: The Rev'd Bronwyn Pagram, Zachary Pagram, Alex Wilton, Jason Brown, Kerryn Smith, Matthew Martin, Tiffany Berg, Kelly Houston and Belinda Macarthur, and to dedicated WHS Advisor Michael Kucera. 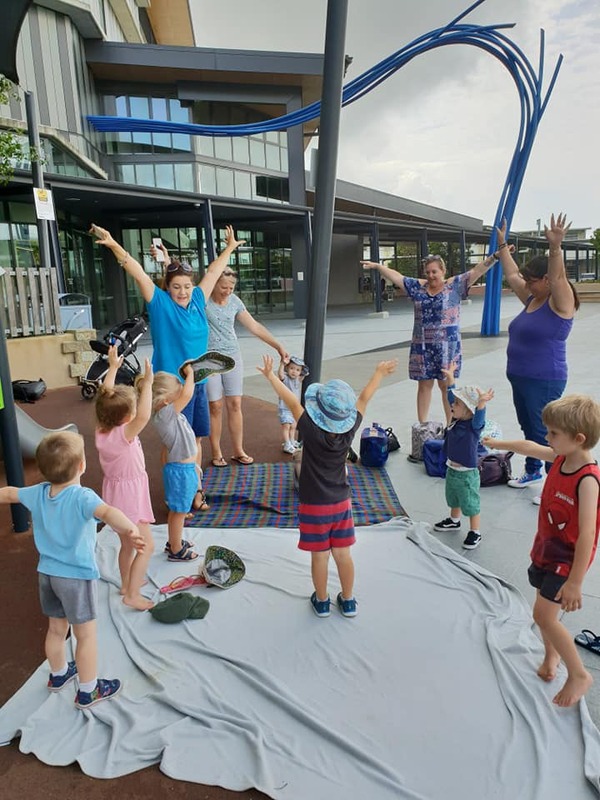 On 8 March, the North Lakes team had to improvise with Music Box, going to the playground at the library to sing their songs and play before enjoying morning tea. 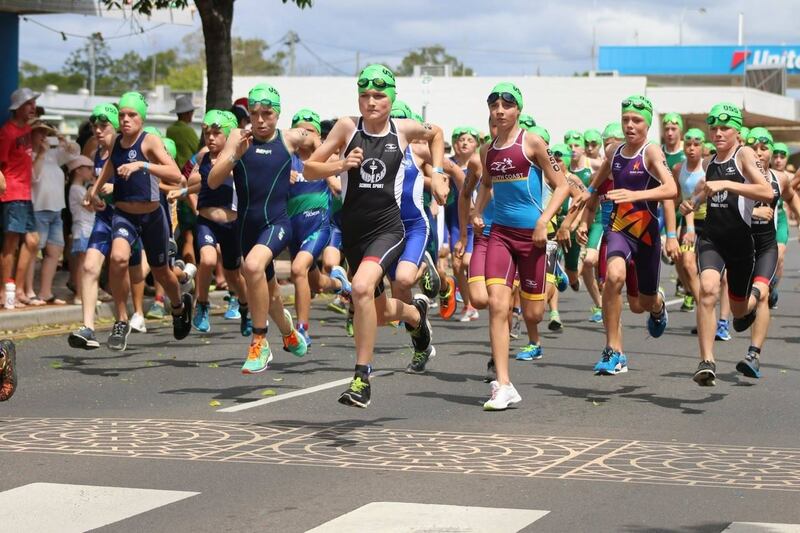 Fraser Coast Anglican College had plenty of representation at the State Triathlon and Aquathon Championships in March. Rob James, Xavier Metcalfe and Emmily Lingard competed in the Triathlon. Dylan Smith, Hayden Smith, Asta James and Nathan Lingard qualified for the Aquathon. All performed well on the day with special mention to Xavier's team, which placed third in the Team Triathlon (with some St Luke's friends), and to Dylan Smith for an impressive 6th place in the Aquathon, which sees him selected into the QLD team for Nationals! Well done, all. 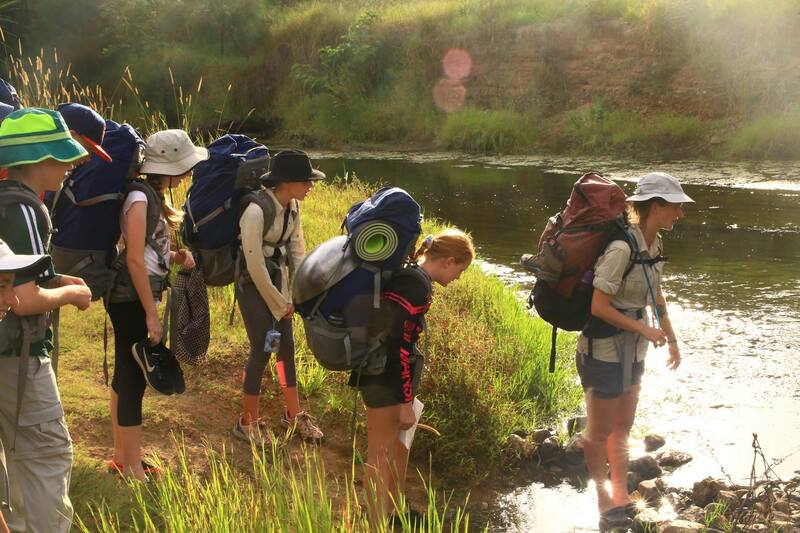 Year 7s at St Paul's went on camp in mid-March. The three-day experience at Kenilworth Homestead involved hiking, camping out, canoeing, mountain biking, an environmental program and a ropes component. Underpinning these activities was the School’s Character Framework, and virtues such as resilience, courage, respect and perseverance. Students embraced the challenges put before them and returned to school more confident in their ability to problem solve and work with each other as a team. 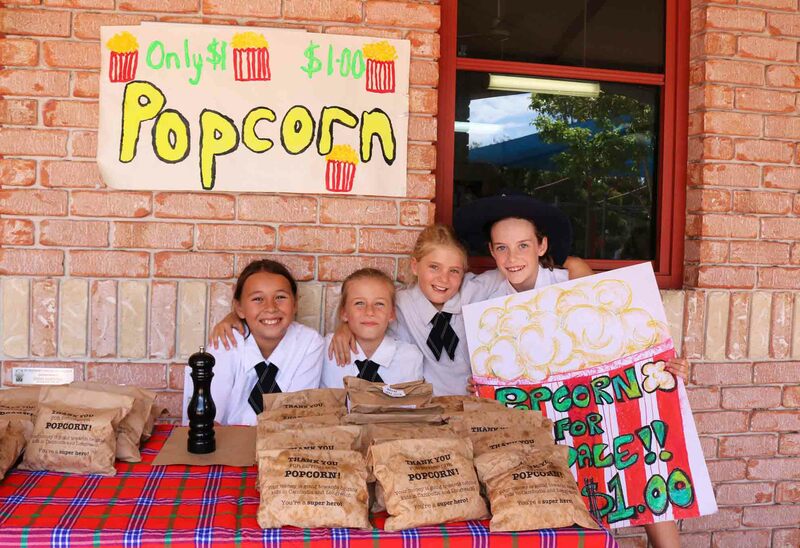 Year 4 Market Day at St Andrew's Anglican College in mid-March was a great success! The whole school community enjoyed seeing how much effort students put into their stalls, as well as their enthusiastic sales efforts. The overall creativity of what they came up with to sell was outstanding: from rock creatures to crayon art, second-hand items and edible treats, to activities such as bowling and the chance to throw whipped cream at a target. A great turnout from parents, grandparents and friends, as well as Primary School students who attended at different times throughout the day. 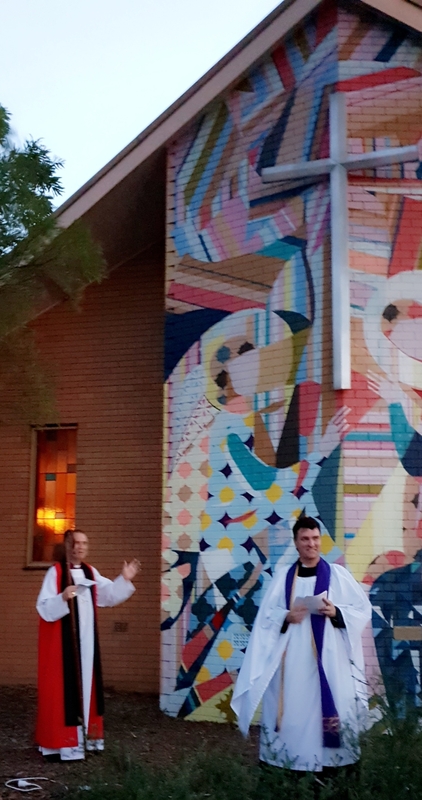 Bishop John Roundhill (L) blesses the mural 'The Annunciation', which blends Russian iconography and street art aesthetics, at the Church of the Annunciation, Camp Hill. Bishop John is pictured with Parish Priest, The Rev'd Chris Tyack. 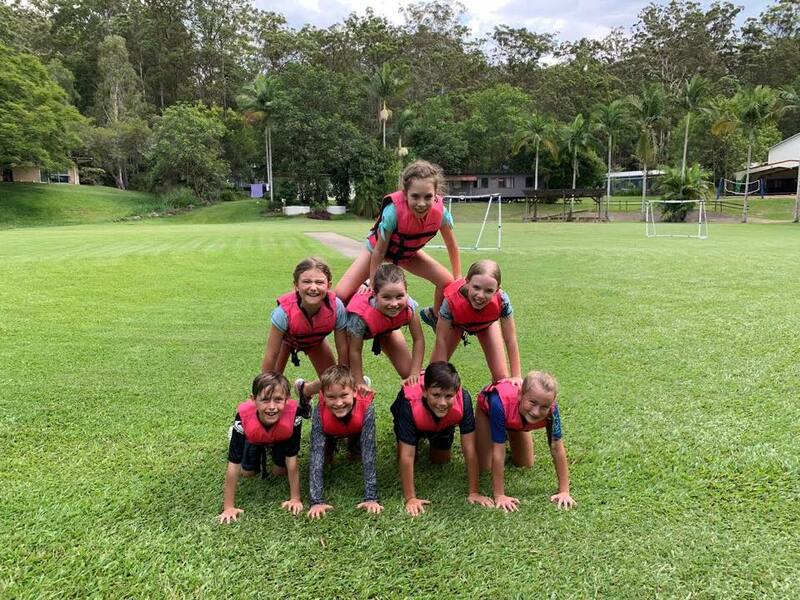 Years 4 & 5 St Luke's campers having a great time on day one of camp at Maranatha on 11 March. 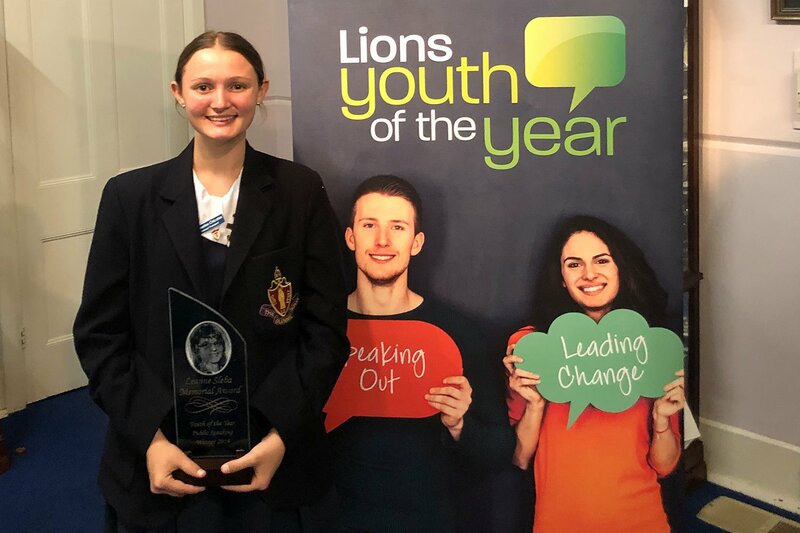 On 9 March 2019 Glennie School Year 12 student Katie Chicalas competed in the Lions Youth of the Year - Regional Final, held at Glennie. She represented both the School and the Lions Club of Toowoomba Wilsonton. Katie was one of six competitors involved at this level of the program. Like the club round, there was an interview with a panel of three judges. Along with discussing her involvement in academic, performing arts, and sporting activities, the judges asked each competitor about their community service and knowledge of local, national and international affairs. In the evening, Katie delivered a prepared speech and gave two impromptu speeches. Being able to think on your feet and speak off the top of your head with no preparation is a difficult skill. Congratulations to Katie on her wonderful achievements. (Photo by Mr Duffin). 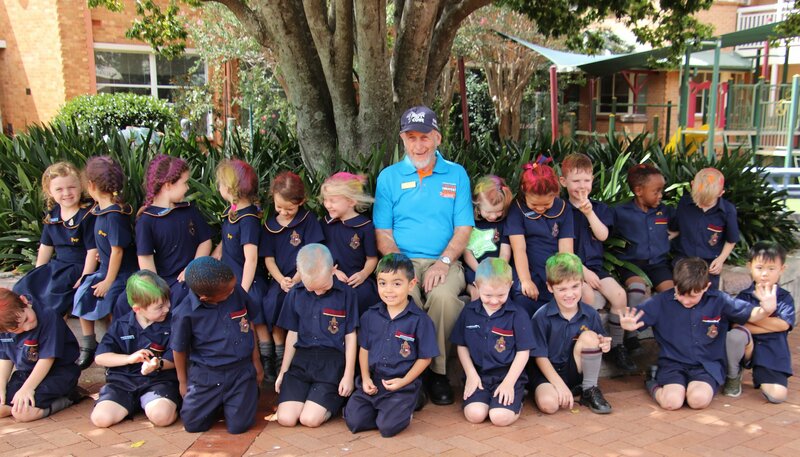 Toowoomba Anglican School participated in the World's Greatest Shave on 14 March. Well done to the students for supporting the Leukaemia Foundation by getting their hair coloured. A massive 'thank you' to Year 11 secondary student Josh, and his amazing effort of raising over $1000 and losing his locks! 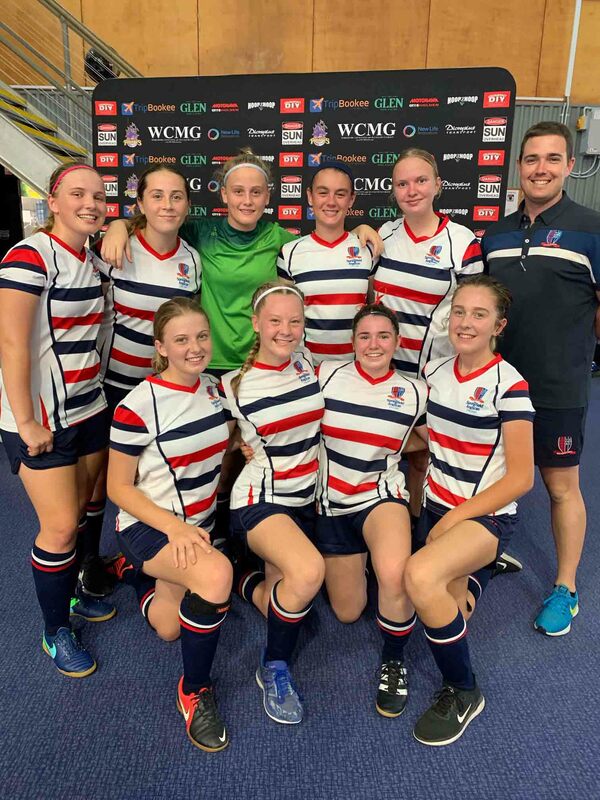 Springfield Anglican College took 3 teams to the preliminary rounds of the South-East Queensland Schools Futsal Championships in March. The U19 Girls dominated their competition, winning all three matches to set themselves up well for the finals knockout day. 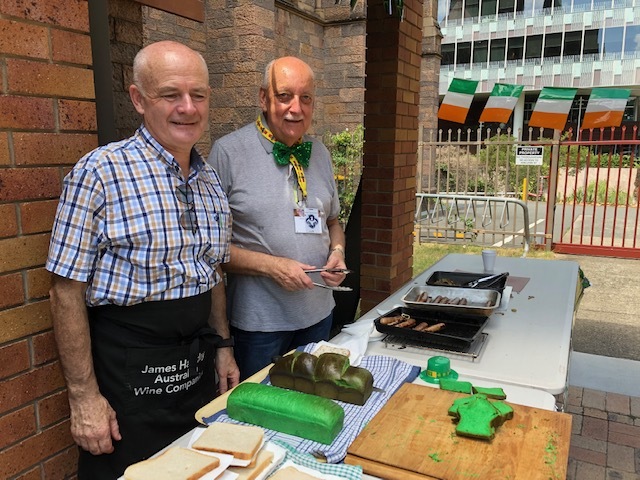 The indefatigable St John's Cathedral team members (resident Paddy) Gerard Finn and Terry Albone cooking up a barbie, including gluten-free and vegan fare, and serving green bread to Cathedral precinct clergy and staff and community members to mark St Patrick's Day. 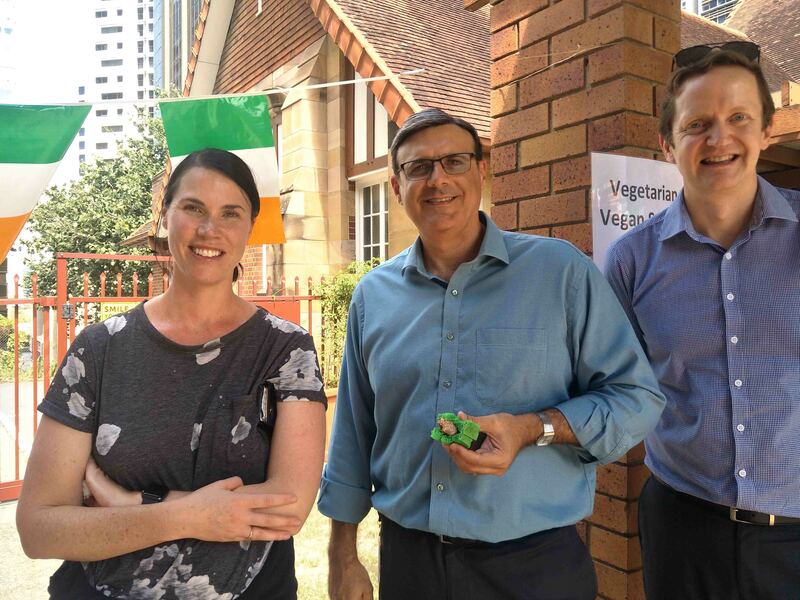 Kara Thomas, Tim Reid and Nick Gentner enjoying sausage sizzle fare at the Cathedral on St Patrick's Day. 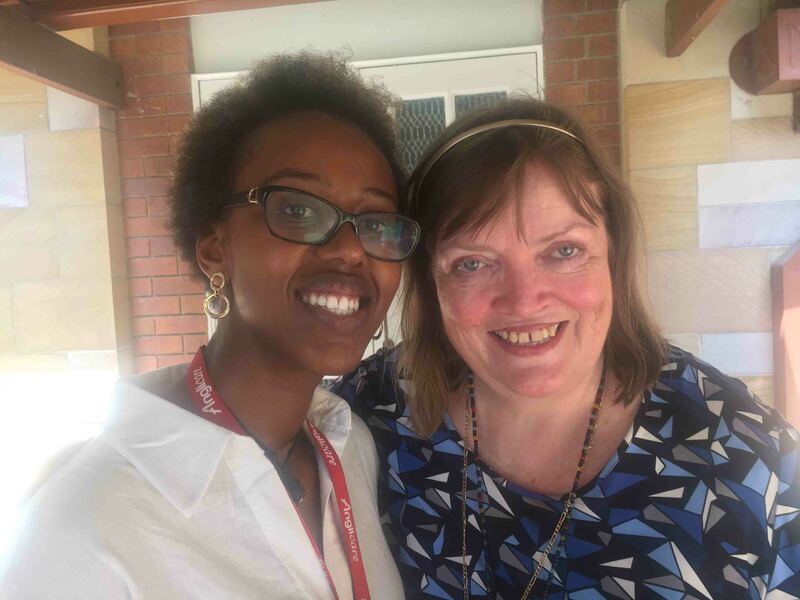 Thank you to all of the wonderful Anglicare staff members, including Multicultural Program Coordinator Claire Uwimana and Executive Assistant Bronwen Clark (pictured here at St John's Cathedral on 15 March). 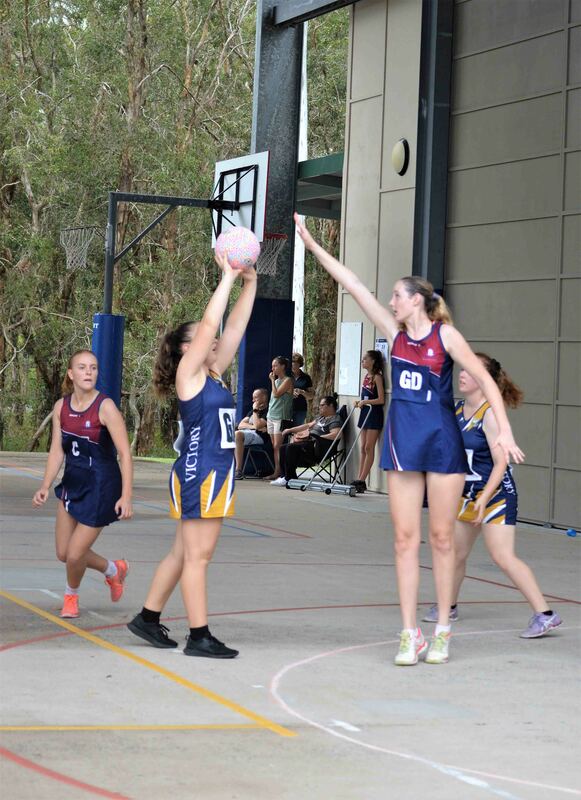 The 15th Fraser Coast Invitational Rugby 7s and Netball Fast 5s Tournament was hosted by Fraser Coast Anglican College on Saturday 17 March – what a great day of sport! 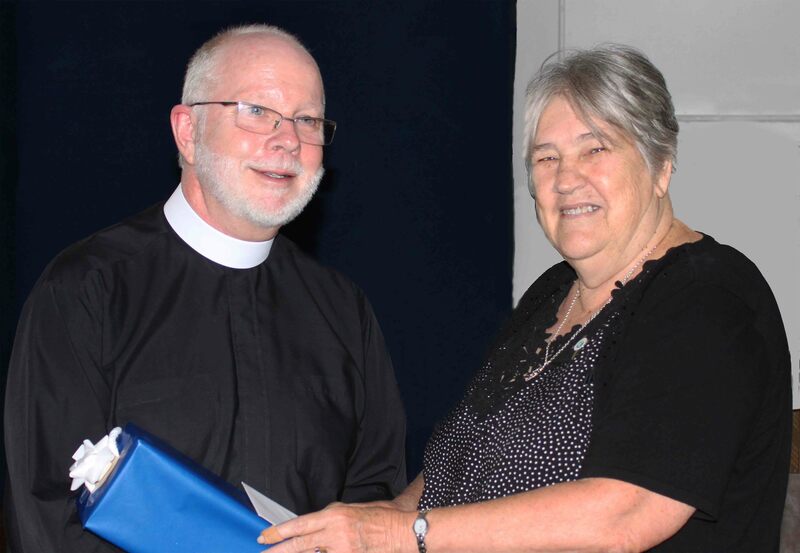 Anglican Mothers Union Australia AGM guest speaker The Very Rev'd Dr Peter Catt being thanked by Susan Skowronski for his AGM address (Photo by Chris Martin). (L-R) The Rev'd Dr Ann Solari, The Rev'd Jazz Dow and Justice Unit Coordinator Jen Basham. 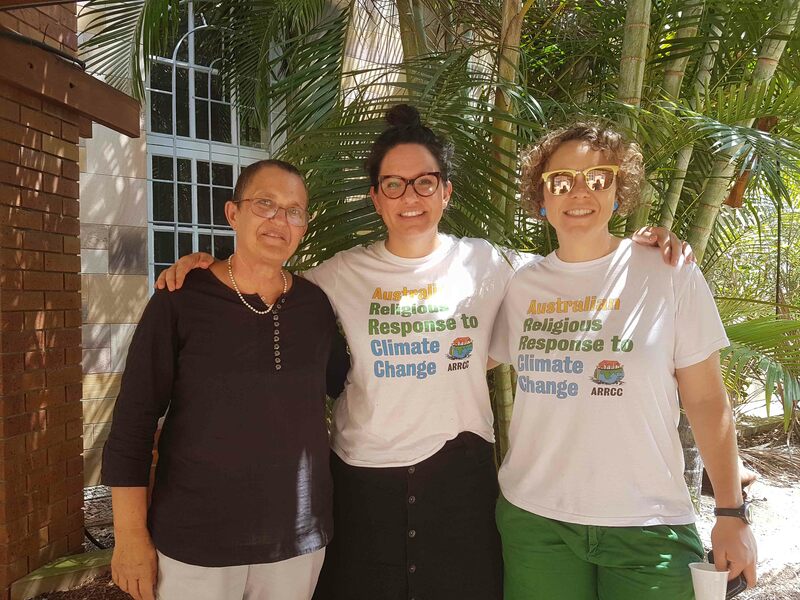 The Rev'd Jazz and Jen are wearing Australian Religious Response to Climate Change (ARRCC) t-shirts because they are on their way to support Queensland students rallying in the CBD in order to ask our leaders to take action on climate change. 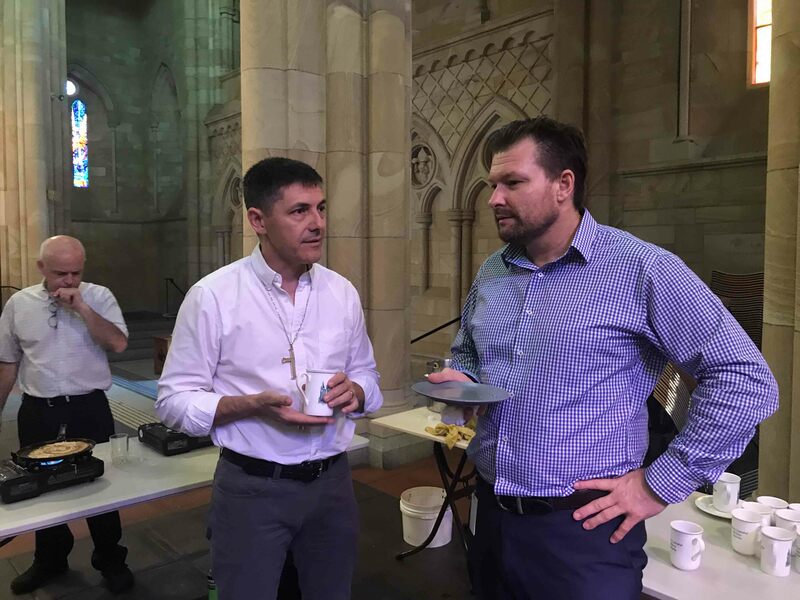 The Rev'd Dr Jo Inkpin (St Francis College) and Cultural Capability Facilitator Olly Yasso (Anglicare) chatting at St John's Cathedral after the Harmony Day celebrations. The Rev'd Jo and Olly are part of the Reconciliation Action Plan Working Group. The Rev'd Jo is Co-chair (along with The Rev'd Canon Bruce Boase) and Olly is a member. 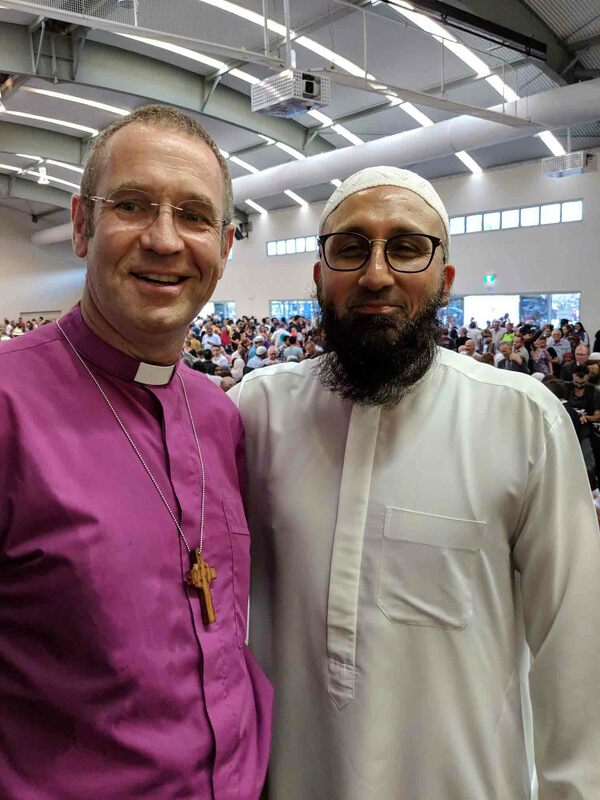 Bishop John: "Standing in solidarity and sorrow with Imam Uzii Akbar from Holland Park Mosque at the Islamic College of Brisbane for their Prayer Service. #Standtogether. We stand stronger when we stand together." 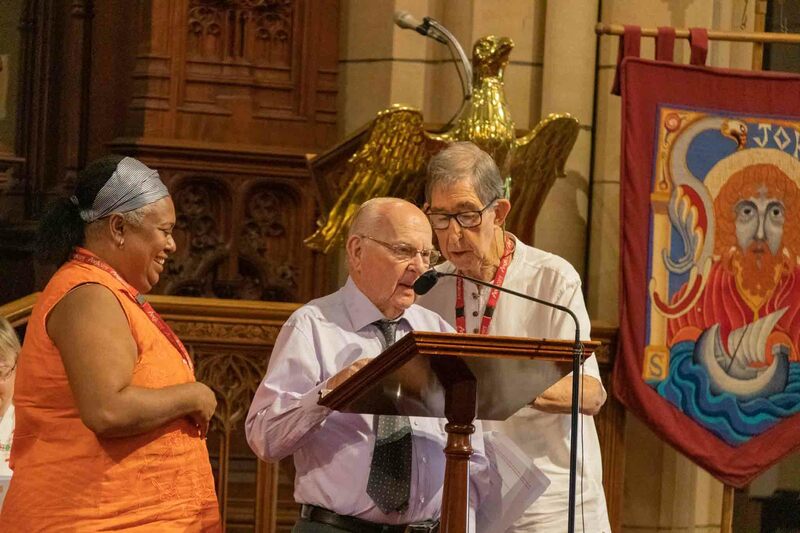 (L-R) Cultural Capability Facilitator Olly Yasso (Anglicare), Athol Handley (E.M. Tooth Memorial Home resident) and Paul Garfield (EM Tooth Memorial Home volunteer) speaking at the Harmony Day Service at St John's Cathedral on 21 March. Mr Handley 'stole the show' with his heartfelt comments and delightful reading. 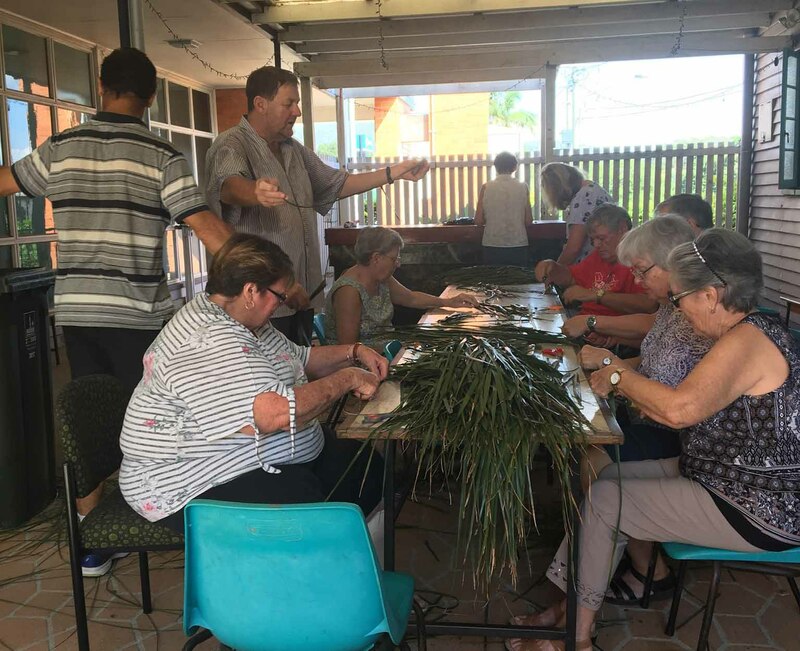 Green Hill’s parishioners hard at work making 7,000 Palm Sunday crosses for distribution throughout the Diocese and beyond. 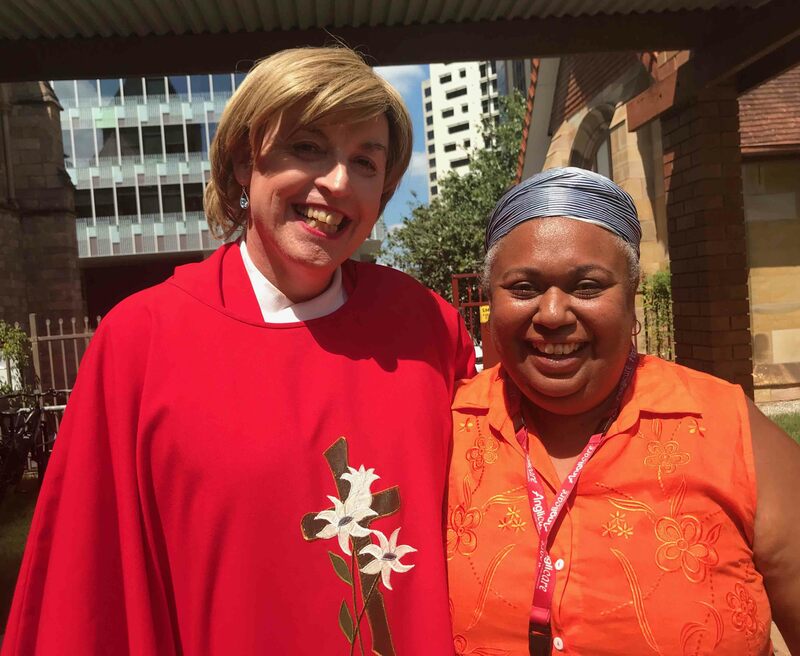 Lady Day (Feast of the Annunciation) was celebrated by AMUA members in the Toowoomba Deanery at St Matthew’s Anglican Church Drayton on 25 March. 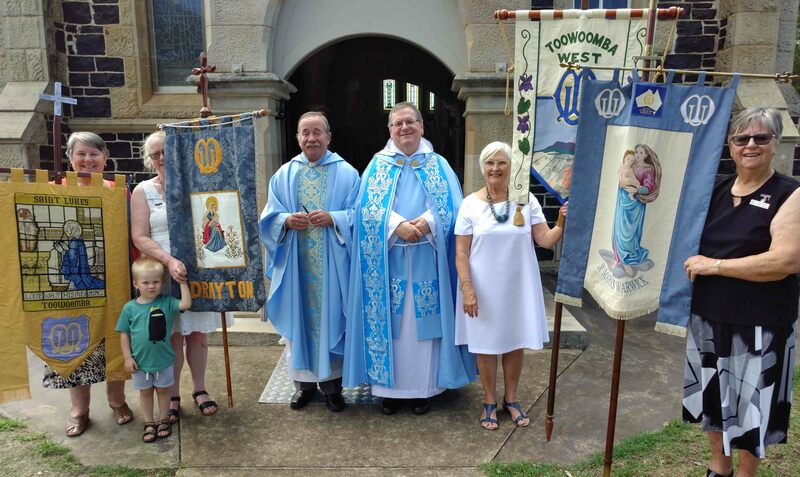 (L-R) Cynthia Moran from St Luke’s Toowoomba, Denise Snape from Drayton ably assisted by grandson Riley, The Rev’d David Snape, Archdeacon of the Downs The Ven. Mark Carlyon, Carol Baldwin from Toowoomba West and Gloria Brady from Warwick. 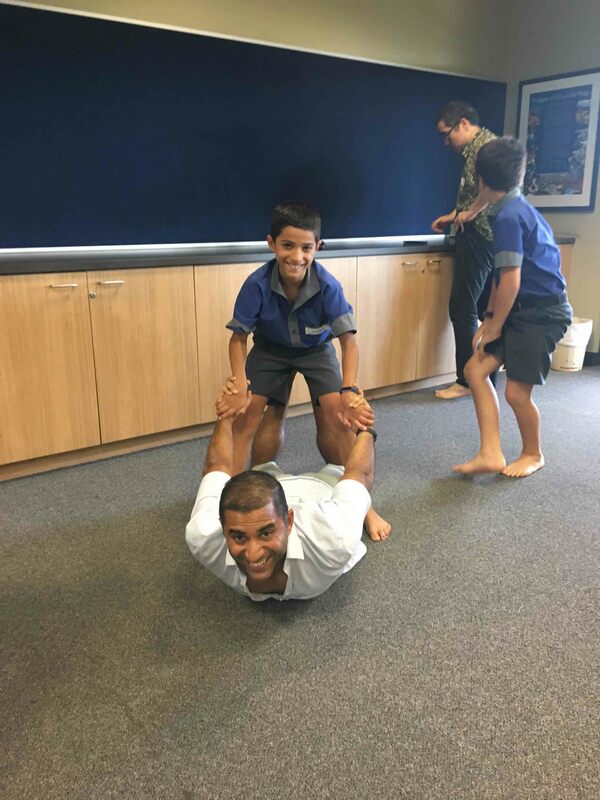 Dads and Churchie students enjoying a Mindfulness Through Movement class with teacher John Pink, who conducts classes in schools across our Diocese. 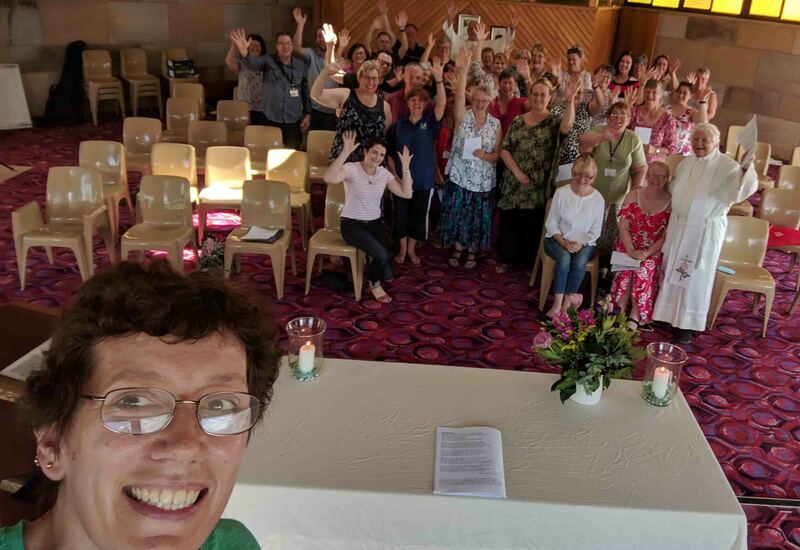 Clergy Spouse Conference 2019 participants at The James Byrne Centre, Highfield, Toowoomba. Participants enjoyed the beautiful location, great conversations, excellent dinner at The Glennie School (with Year 10 hospitality students), a trivia quiz, great entertainment, two fine speakers (Leneen Forde and Carol O'Ryan) and a Eucharist.